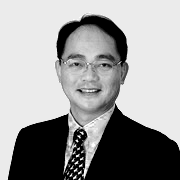 Dato’ Larry Gan Nyap Liou (“Dato’ Larry”), is a trained chartered accountant and a certified management consultant. He spent 26 years with Accenture, the world’s leading consulting firm. Also, he held many global leadership roles, consulted on strategic projects for multinational corporations and worked with innovative technologies around the world. He was the Managing Partner for Asia, and between 1999 to 2003 he managed the firm’s multibillion dollar Venture Fund in Asia Pacific and concluded investments in China, Japan, Australia and Singapore. He served as Chairman of the Association in Computer Industry Malaysia (“PIKOM”), Vice-President of the Association of Asian Oceania Computer Industry Organization, and a Member of the Minister of Science & Technology Think Tank, Copyright Tribunal, Labuan International Financial Exchange Committee, MIMOS Berhad (Government Technology Research) and the Malaysia US Business Council. Presently, he is the Chairman of Cuscapi Berhad, Rev Asia Berhad and Diversified Gateway Solutions Berhad, and a Board Member of Tanjong Plc, Amcorp Properties Berhad, Formis Resources Berhad, Saujana Resort (M) Berhad and Tien Wah Press Holdings Berhad. Besides, he is also Chairman of the British Malaysian Chamber of Commerce and Board Member of the Minority Shareholder Watchdog Group. He was formerly a director of ASX-listed iProperty Group Ltd (ASX:IPP).